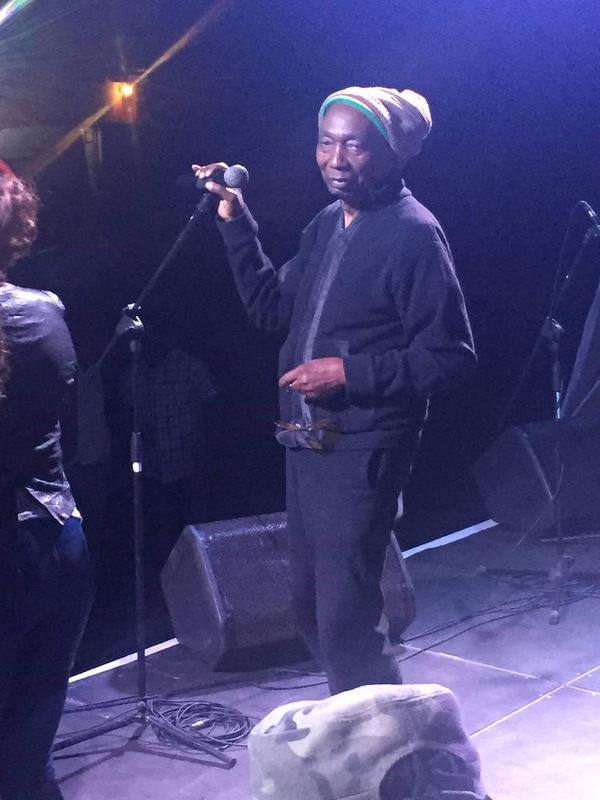 After the successful April 28 Big Bira concert which was held at Glamis Arena in Harare last year, Entertainment Republic were encouraged to bring back Thomas Mapfumo for a second running. This time it was not to be in Harare only, but throughout Zimbabwe. Whether the promoters, due to the success of the April gig in Harare, over-estimated the popularity of Mapfumo throughout Zimbabwe or they thought that people in other towns needed Mapfumo, is a question left unanswered. Eight cities and towns — namely Gweru, Bulawayo, Beitbridge, Masvingo, Mutare, Kariba, Victoria Falls — and finally Harare were identified as venues for what was dubbed the Peace Tour. The first port of call was to be Gweru. Before the concerts started, Maxwell Mugaba, the lead promoter of Entertainment Republic came to see me. I told him well in advance that he shouldn’t expect to make money on such an extensive tour. I told him that we tried it back in 1982 with Misty In Roots when there was only one single viable PA system in the country. Transporting this system from town to town and setting it up in time was a big challenge. The Gweru and Bulawayo gigs were too close to each other. Today with the fuel crisis in the country, it was going to be difficult to timeously meet the scheduled gigs. They were too congested and sound checks should be conducted at least a day in advance of the scheduled concerts. Well, Mugaba was hoping for a break-even situation. I wished him well and the tour started. The Gweru show, which was scheduled to start at 7pm on Friday December 7, did not kick off for two reasons — (1) The sound system which was coming from Harare arrived late due to unavailability of diesel. “The tour had a false start with a cocktail of challenges, including power supply issues and logistical challenges. “However, we got it right on our second date in Bulawayo, but the economic hardships in the country saw us having a shockingly low attendance also exacerbated by bad weather. It rained from 6pm to about 2am. “Beitbridge went well with encouraging numbers and a spirited performance by Thomas. The challenges of sound and stage have seen us travel with our own from Harare on all the legs of the tour. It’s been a challenge indeed. “We have overcome the challenges so far, albeit at a heavy loss. “Regarding the Harare concert, the ideal venue, according to Entertainment Republic, was the spacious Harare International Conference Centre (HICC), but Rainbow Towers inflated their fee to US$30 000 from the initially agreed US$15 000. “We failed to hold the Harare concert at the HICC as hire charges were pegged at US$30 000. Such a fare would have meant passing on the costs to the fans who were already feeling the overhead pinch of an economy in crisis, hence we walked away from the arrangement. “We decided to move the concert to Club Hideout 99, a nostalgic home for Chimurenga music over the years, without cancelling the date for the said show. “We regretfully had to cancel the Kariba concert despite the crew and members having made their way there. This was because the sound system suitable for the event, which we had rented for the concert, had been vandalised in Kadoma during a Winky D concert in a terribly unfortunate incident and a replacement of equal quality could not be secured especially in the festive season when such equipment is pre-booked and in high demand. “Regardless, we take heart and learn from the experiences of the tour. There is need for collaboration, unity, development and learning if a nation and her arts are to progress and move perfectly into the century of progress. “Finally, we are mere entertainers and a people’s social movement without any untoward hidden agenda. We have been since inception and continue to be such. Vava is now in South Africa, but it seems the Peace Tour has continued on as in January, Mapfumo has had a series of “farewell” concerts. I would suggest that if he really wants a farewell gig, he should rope in Jah Prayzah, Oliver Mtukudzi and Winky D. He will get the crowd.